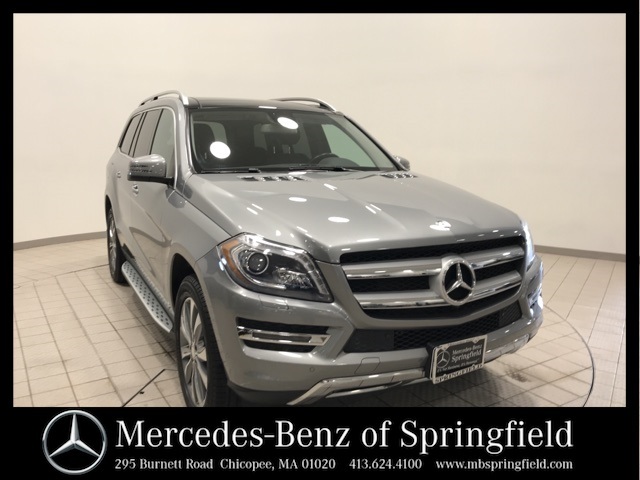 This is a Certified Pre-Owned 2015 Mercedes-Benz GL-Class GL 450 with 50,384 miles! 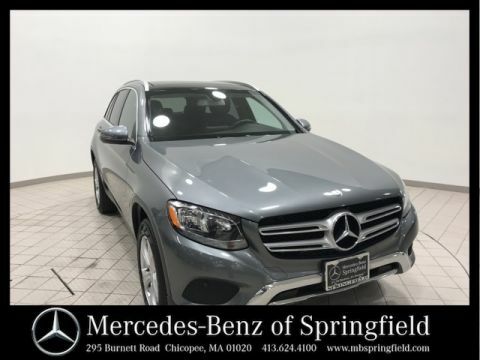 In Palladium Silver Metallic, it has a clean CARFAX and just one previous owner! Featuring Command with Navigation, Navigation Map Updates for 3 Years, Pre-Wiring for Rear Seat Entertainment, Surround View Camera, Blind Spot Assist, Lane Keeping Assist, Parktronic with Active Parking Assist, Trailer Hitch, Power Lift Gate, Garage Door Opener, Dual Zone Climate Control, Anti-Theft Alarm System, Collision Prevention Assist, Advanced Tire Pressure Monitoring System, Automatic Start/Stop Function, Bi-Xenon Headlamps with Active Curve Illumination, Adaptive Highbeam Assist, Illuminated Running Boards, Keyless-Go, 20 inch Twin 5-Spoke Wheels, Panorama Sunroof, Anthracite Poplar Wood Trim, Chrome Door Handles, Heated Front Seats, Heated/Cooled Front Cupholders, Power Folding 3rd Row Seats, Multi-Colored Ambient Lighting with Illuminated Door Sills, harman/kardon® Logic7 Surround Sound System, Premium Package and more . 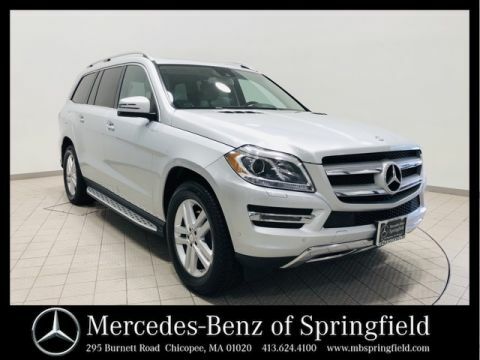 Call our experienced sales staff by dialing 413-624-4100 or Drive to the All New Mercedes-Benz of Springfield, MA. We are located at 295 Burnett Rd. in Chicopee, MA 01020, exit 6 from the Mass Pike! 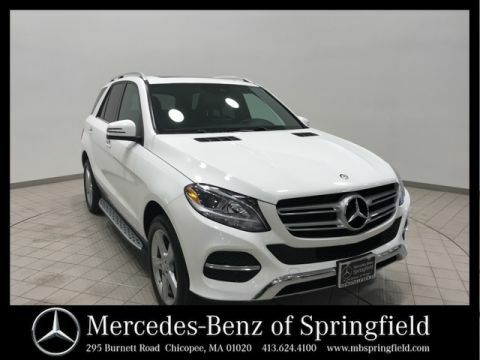 And just minutes from Connecticut!